Officers from Police Scotland have arrested 104 people and executed 149 warrants during the first week of a targeted campaign across the North East to ensure violent offenders are brought to justice. During the first phase of the operation, enforcement action has been launched in every corner of the region focusing on those criminals who are most prolific and most likely to re-offend. The activity comes under Operation PINE – an ongoing initiative led by the Divisional Alcohol and Violence Reduction Unit (DAVRU) – and includes a range of measures such as apprehending individuals wanted on warrant, bail checks, increased licensed premises checks and working with our partners to ensure preventative measures are in place to reduce the chances of individuals re-offending. In the past week three men aged 23, 26 and 27 were arrested in connection with an alleged robbery at Peterhead, a 27-year-old man was arrested in connection with an alleged serious assault in Fraserburgh, a 62-year-old woman was arrested in connection with another alleged serious assault in Elgin and a 24-year-old man was arrested in Aberdeen in connection with allegedly breaching bail conditions. 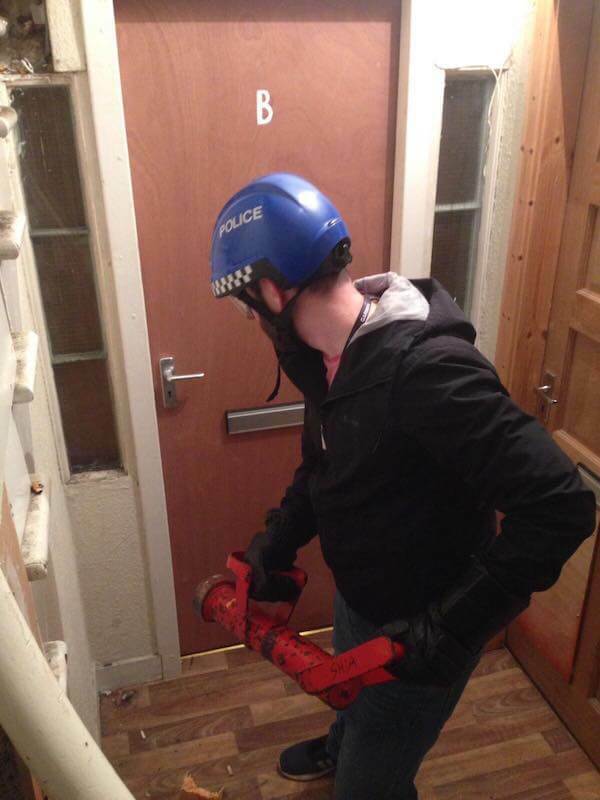 In addition three other men aged 31, 31 and 54 were arrested in connection with other alleged serious assaults, while three men aged 29, 30 and 40 and a 42-year-old woman were arrested for allegedly being in possession of an offensive weapon. More than £10,000 in outstanding fines have also been resolved while 306 visits to licensed premises have been carried out to ensure robust measures are in place to deter alcohol-fuelled violent behaviour. Briefings are taking place in Aberdeen, Inverurie, Fraserburgh and Elgin before officers go out into local communities. Action to tackle violent crime takes place every day across the North East, however sustained action like this has a proven track record in reinforcing our clear message that violence in any form will not be tolerated and we will continue to make every effort to trace violent offenders currently wanted across the North East. Our activity during the past week has taken numerous forms including increasing licensed premises checks to ensure the right processes are in place from the outset to deter alcohol-fuelled violent behaviour. It’s no secret that drinking too much is a massive contributor to violent crime and we are committed to working with licensed premises across the region to ensure that staff know what their responsibilities are. Tackling domestic abuse and the consequences of such appalling behaviour, which can include acts of violence, is also a focus. Not only do we continue to monitor offenders bail conditions or home curfews after they have been to court, we also have specially trained and experienced officers offering practical advice and support to victims. Enforcement action is crucial to tackle violent crime however prevention is also key, which is why we also continue to work closely with our partners including Community Justice Social Work to divert offenders from re-offending. Community Justice Partners are committed to ensuring that people who have become involved with the criminal justice system are able to access the services that they need to address any underlying issues that may be contributing towards their offending behaviour. Working alongside our partners from Police Scotland as part of this dedicated operation, Aberdeenshire Council’s Criminal Justice Social Work Service is able to use the time when people are in custody to explore opportunities for referral in to alcohol, drug, mental health or other services that can provide them with the support that they need, and ultimately prevent them from becoming further involved in the criminal justice system. The overall activity is being led by DAVRU officers with support from local Community Policing Teams, Police Scotland’s Operational Support Division, North East Division Licensing Unit and the Special Constables Task Force – a team of volunteers who give up their own time to support operational policing. Tackling violent behaviour is a priority for North East Division and will not be tolerated in any form. Those who do act violently will face the consequences of their actions and for those individuals who intentionally evade capture, where necessary we will force entry to homes, visit places of employment as well as visiting their family and associates. Have all the posts from My Turriff delivered to your mailbox each day. We will only use your email address to send you content from My Turriff, you can unsubscribe from the list at any time.